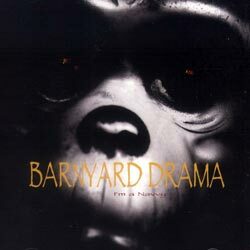 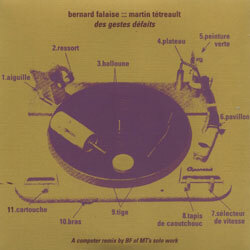 A wonderfully inventive and enjoyable solo guitar album from Montreal guitarist Bernard Falaise, a member of Miriodor, Klaxon Gueule, les Projectionnistes, Diesel and other groups, here mostly focused on acoustic guitar with open turning fed into effects pedals, alongside pieces for electric guitar, glockenspiel and melodica; magnifique! 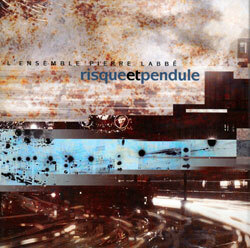 Montreal multi-wind instrumentalist Pierre Labbe (Les Projectionnistes, L'Orkestre des Pas Perdus, Papa Boa) leads an insanely talented and quirky quartet with guitarist Bernard Falaise, drummer Pierre Tanguay, and narrator/storyteller Michel Faubert, creating a captivating album that transcends language in it's superb pacing, development, and artistry. 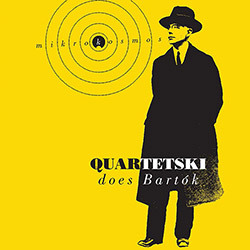 Composed between 1926 and 1939, "Mikrokosmos" was Bela Bartok's attempt to solve certain technical problems in the art of piano playing, here adapted by the 5-piece Quartetski into a fascinating series of progressive exercises and etudes, oddly enough presented without a piano. 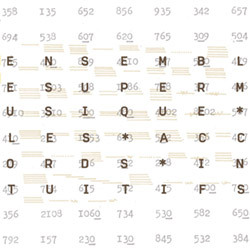 The 2nd release from the Montreal free improvising trio Joshua Zubot (violin), Bernard Falaise (guitar) and Isaiah Ceccarelli (drums/percussion) is a magnificent example of open-minded improvisation using unusual and sparkling approaches to sound and discourse. 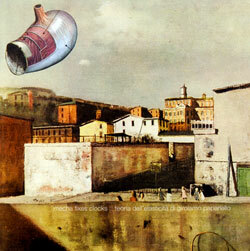 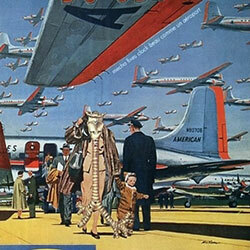 Percussionist Michel F Cote takes his Mecha Fixes Clocks ensemble (Philippe Lauzier-sax, Elwood Epps-trumpet, Jean Rene-sax, Pierre-Yves Martel-feedback, Bernard Falaise-guitar, Guillaume Dostaler-piano) on a compelling audio tour of air travel. 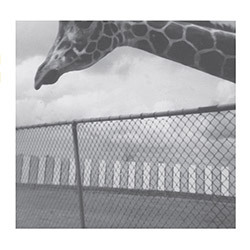 Mecha Fixes Clocks' 3rd release with Michel F. Cote, Lori Freedman, Philippe Lauzier, Ellwood Epps, Josh Zubot, Martin Tetrault, Bernard Falaise, &c... a musique actuelle supergroup, and an amazing conceptual work. 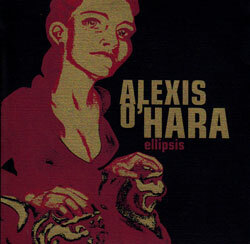 Montreal interdisciplinary artist Alexis O'Hara releases her 1st music album with Montreal luminaries Bernard Falaise, Michel F. Cote, Alexandre St-Onge - intelligent and sophisticated vocal music. 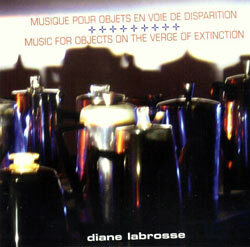 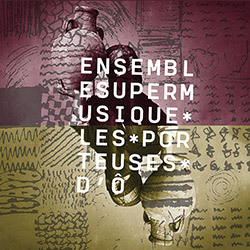 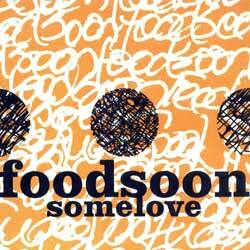 Montreal artists Isaiah Ceccarelli on percussion, Bernard Falaise on electric guitar and Josh Zubot on violon, impressive textural music from contemplative soundscapes to frantic climaxes. 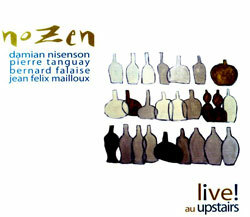 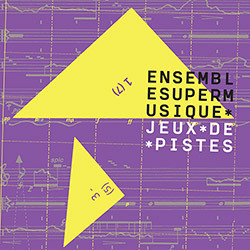 Commissioned and premiered at the 10th L'Off Festival de jazz de Montreal in 2009, this work performed with Jean Derome, Jean Rene, Bernard Falaise, Pierre Tanguay, &c.
Nozen is a crossroads of contemporary jazz, musique actuelle and the musical traditions of Jewish Eastern Europe, contrasting styles giving birth to a deep and spontaneous music. 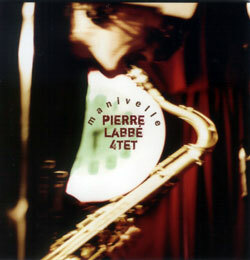 Saxophonist Pierre's Labbe's 1st release in 6 years, performing original compositions in a quartet with guitarist Bernard Falaise, drummer Isaiah Ceccarelli & bassist Clinton Ryder. 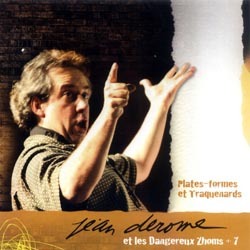 Toronto's amazing husband & wife team drummer Jean Martin and unusual vocalist Christine Duncan with guest guitarist Justin Haynes and Bernard Falaise, recommended! 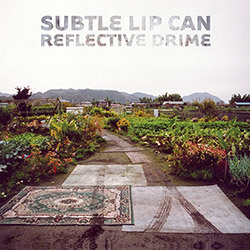 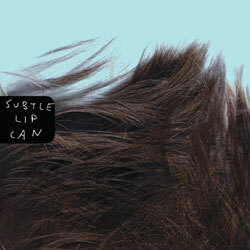 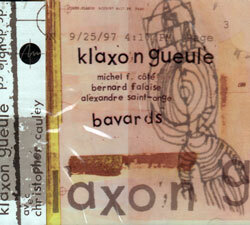 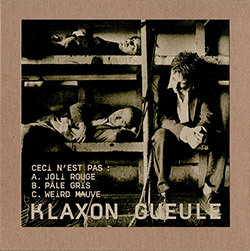 Unusual electronic improv that moves from light to dark with great grooves and unusual turns, from the core of Klaxon Gueule with Jesse Levine on organ. 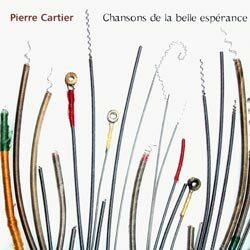 Inspired by jazz standards, bassist and composer Pierre Cartier combines the voice of Quebec's poets with new jazz to tackle the theme of love. 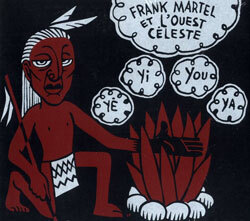 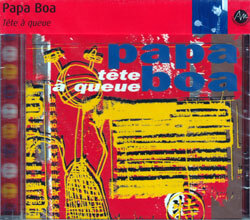 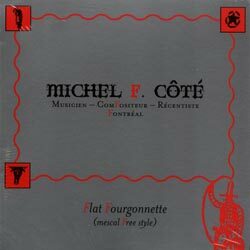 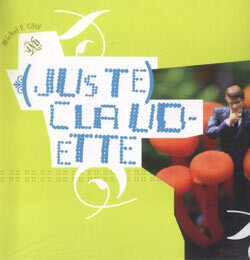 Michel F Cote in a hybrid release of country and actuelle music that is unpredictable and funny with help from artists such as Bernard Falaise, Frank Martel, Billie Folliday, etc. 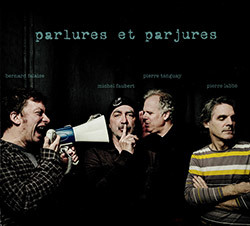 Guitarists Bernard Falaise and Ron Samworth play alongside percussionists Pierre Tanguay and Dylan Van der Schyff in this loud debut album of free improvisation. 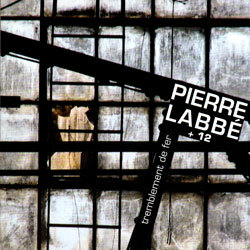 A balance between composition and improvisation is sought in this album by The Ensemble Pierre Labbe that is a also a fusion of avant-garde jazz and classical music. 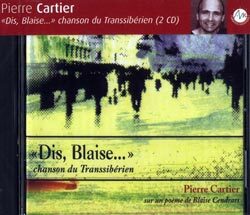 Pierre Cartier sings the epic and famous poem "Prose du Transsibérien" by the French poet Blaise Cendrars in this beautiful merging of music and poetry. 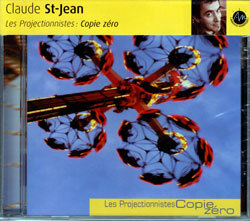 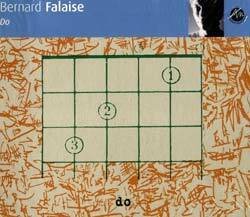 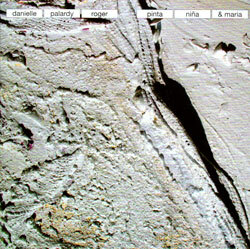 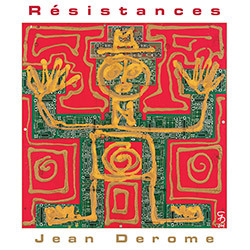 Bernard Falaise's debut solo album in 15 peieces for guitar ensembles played by one guitarist with the help of overdubbing and digital processing.